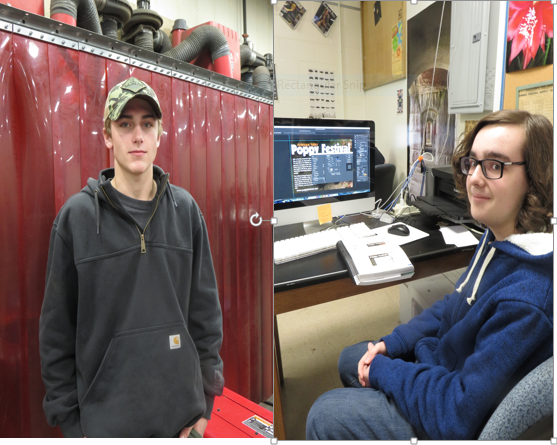 Capital Area Technical Center is pleased to announce the October Students of the Month. Joshua Clukey is a senior from Monmouth Academy enrolled in the Graphic Design and Printing program for the second year. 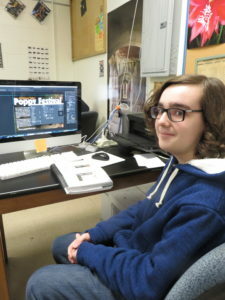 He has enjoyed learning the computer programs needed to work in the Graphic Design industry. Last year, he won the local SkillsUSA competition in Advertising Design and traveled to Bangor to compete in the State SkillsUSA competition. He is looking forward to that opportunity again this year. His instructor, Mrs. Jessica Douin states, “Josh is a very motivated second year student who is excelling at every project that is given to him. He is always willing to help out the instructor and is a great reference for first year students.” Joshua has been accepted to Central Maine Community College and plans to major in Graphic Design to pursue a future career in Advertising Design. Anthony Sousa is a senior from Cony enrolled for the third year at Capital Area Technical Center. 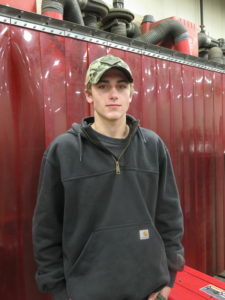 He first took the Auto Body program and now is in the Machine Tool Technology and Welding Fabrication program for the second year. He has enjoyed the hands-on work in his programs that is different from regular school. Last year he obtained his American Welding Society 1G certification license through the State of Maine. He is interested in earning more welding certification this year. His instructors, Mr. Byron Condon and Mr. Darryl Nadeau concur, “Anthony is a good student, hard worker that learns fast. We would recommend him to any employer.” Anthony had a busy fall season, as the quarterback of Cony’s football team. He is now keeping busy working at Rocky’s Stove Shop. In the fall, Anthony hopes to pursue further education in welding.